Update: COMPLETED! 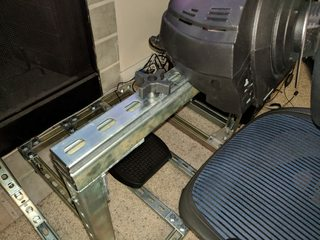 Initial planning of new Sim Rig/TV combo... any machining experts? 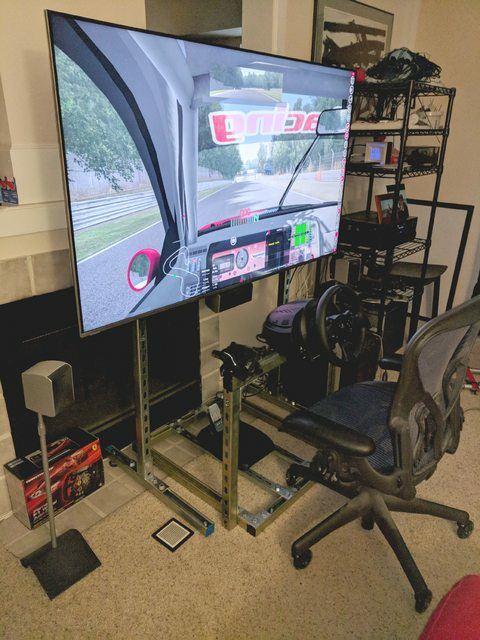 Sim Racing System Sim Racing System Off-Topic Update: COMPLETED! 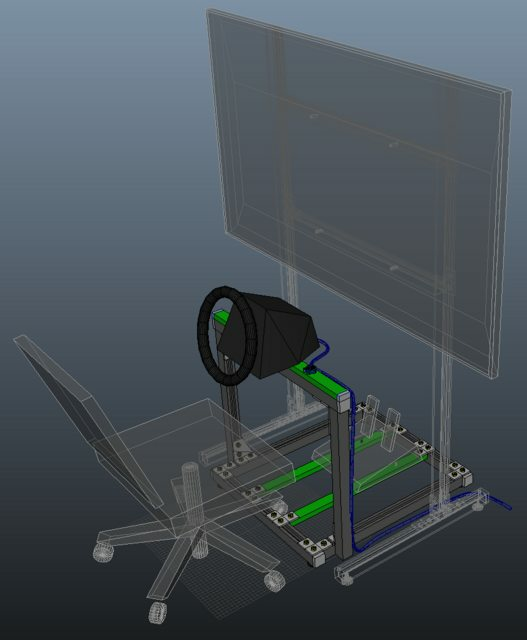 Initial planning of new Sim Rig/TV combo... any machining experts? Many of the parts for this are ordered and on their way. It's happening!!! 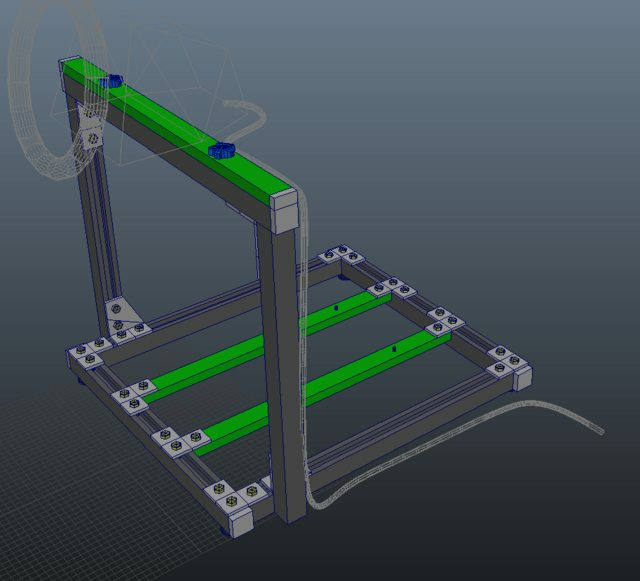 The green denotes 14 gauge strut instead of 12 gauge (which is half as deep as 14... because math!) I needed 28 inches of it for the top part, and that was going to leave me with 92 inches left over... and I was over by like 7 inches for the 12 gauge, so I figured I'd find a couple more places for 14-gauge, and voila! This thing should be super sturdy. And if it does end up flexing, there's plenty of ways I can put a 45 degree support post on the back of the uprights. 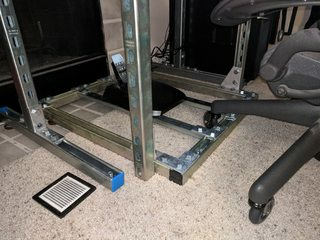 Really the only big concern I have is getting in and out of the thing after I hook my chair in. I've decided to just put the thing together and then problem solve. Can I ask... Why not invest in VR? Already had VR last year. I don't think the resolution is good enough yet and it was too fiddly (as was trying to wrangle a triple monitor setup I had before VR). The setup I have now is super simple which makes me happy. 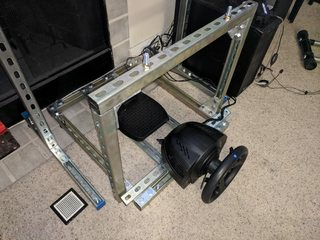 A stable wheel base (as opposed to the Wheelstand Pro I have now) is going to make me even happier. Any more news on this or saving it for the holidays? The saw I would use to cut the channel was going to be used yesterday, but the owner came down with something. Should happen soon, but our schedules have to align again. It's still happening eventually tho! It finally happened! Got all the wheel stand strut cut the weekend before last, and spent the morning this last Sunday de-burring the edges and putting it together. This thing is rock solid. The only flex I can detect is if I try to pitch the wheel base back and forward really hard. 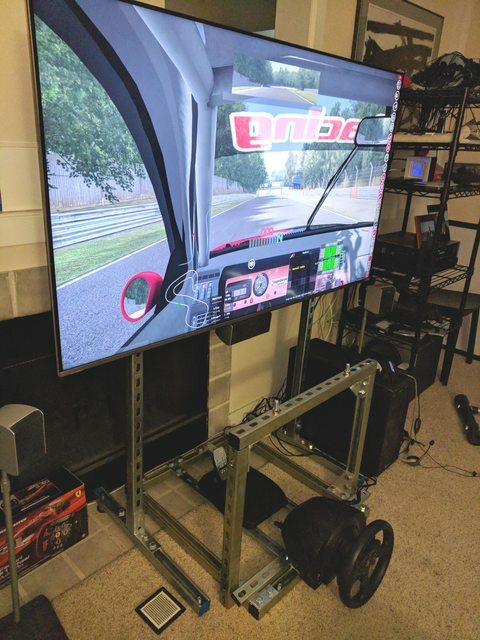 I was worried that was going to require me to do some serious re-thinking on how this thing detaches, but it turns out it's completely imperceptible during racing! Side to side motion is ZERO. Pedal motion is ZERO. And it's even easier to get into than the Wheelstand Pro. I'm pretty happy with the end result! Can you spot the poor, unused Wheelstand in the background?